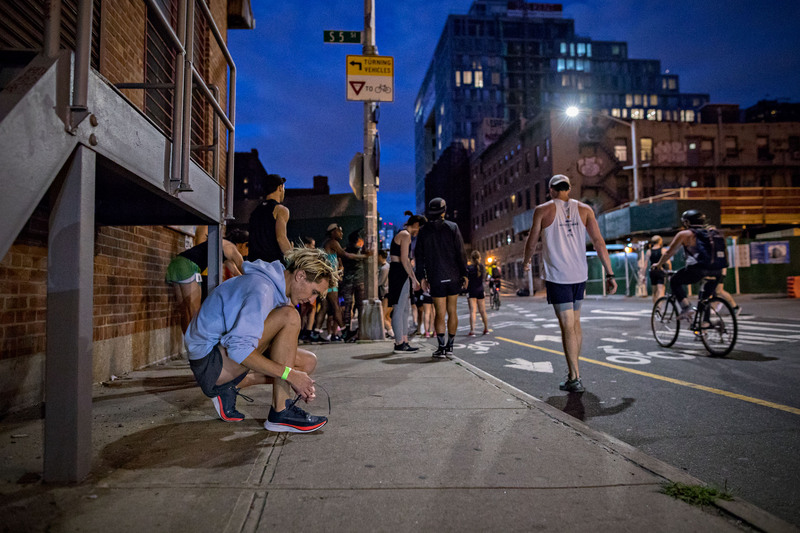 The energy, excitement, and pure adrenalin rush of participating in an un-sanctioned urban race under the Williamsburg street lights on a Friday night can’t be captured in photos—you have to experience it in person. 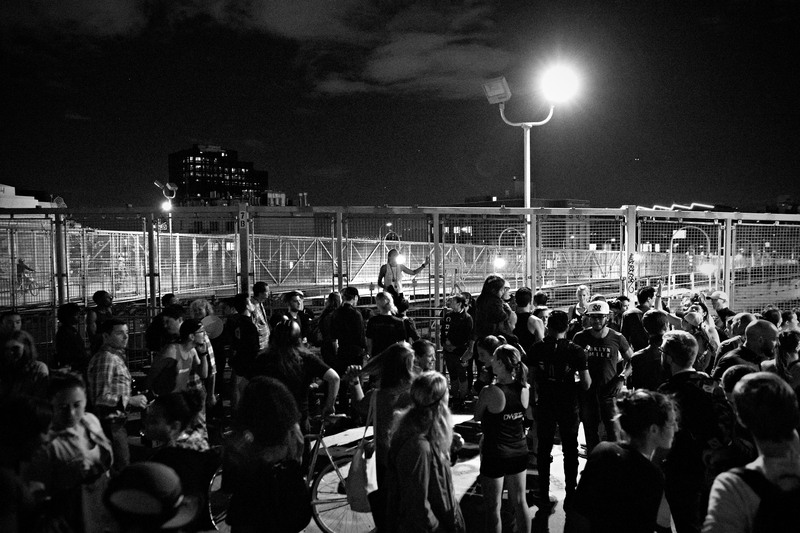 With that said, I present my photos of Take The Bridge 3.4 in Williamsburg on September 8th in Brooklyn, NY. 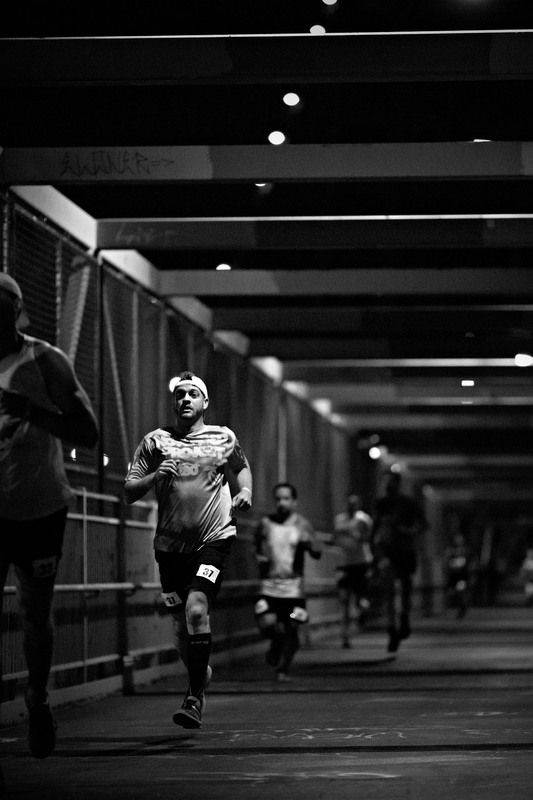 It’s raw, exciting, and a race any and all runners should experience in their lifetime at some point. I’m going to keep my words to a minimum, and let the photos and captions tell the story. Enjoy! Walking south on Kent Ave, the Williamsburg bridge stands tall above all buildings in the area. 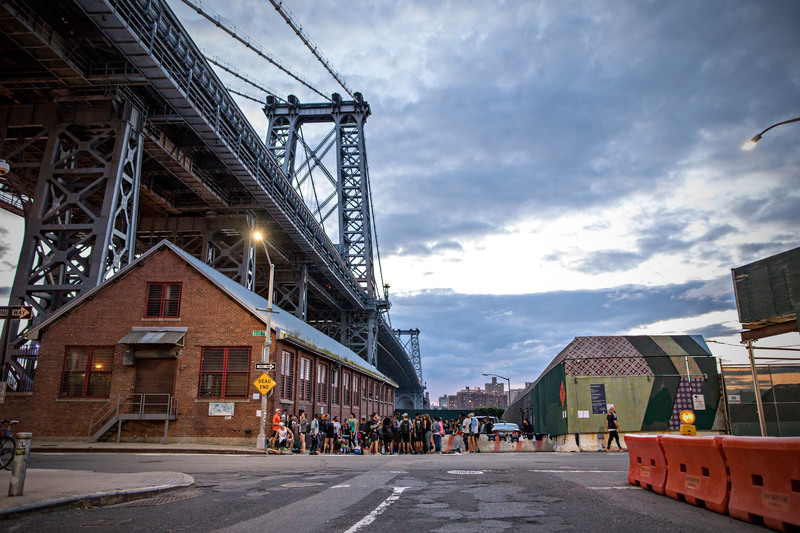 I feel the energy of the city before I even get to the registration area for the Take The Bridge 3.4 race in Williamsburg. There is one goal…Take The Bridge. 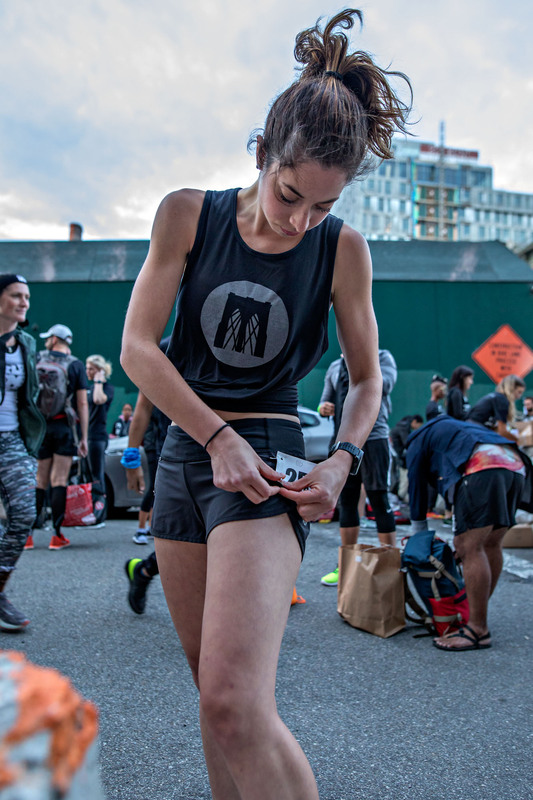 Pre-game prep during registration for Jay Carroll sitting on the corner of Kent Ave and S 5th St.
Meg Boushie of North Brooklyn Runners attaches her bib number in the registration area repping the lovely threads of Brooklyn’s own RunBK. 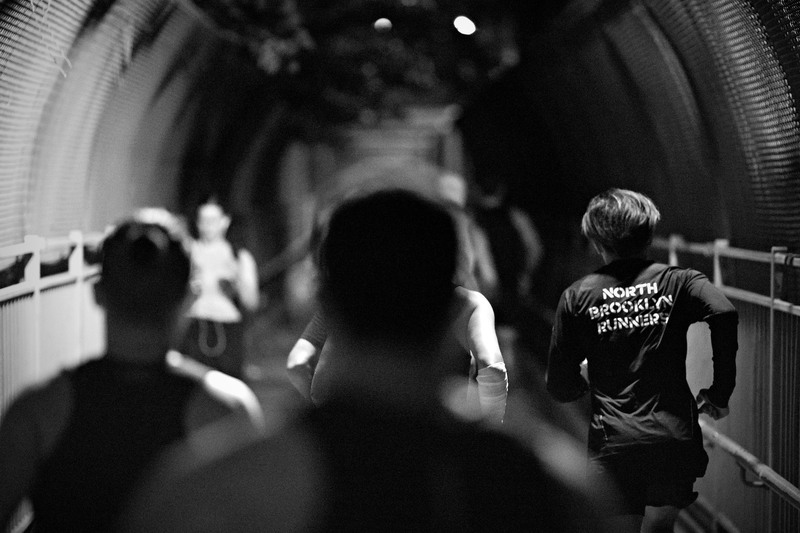 Running culture in New York runs deep with a number of apparel companies springing up in all boroughs to feed the desire of presenting style and speed. Canadian run brand Ciele is prominent here in New York. 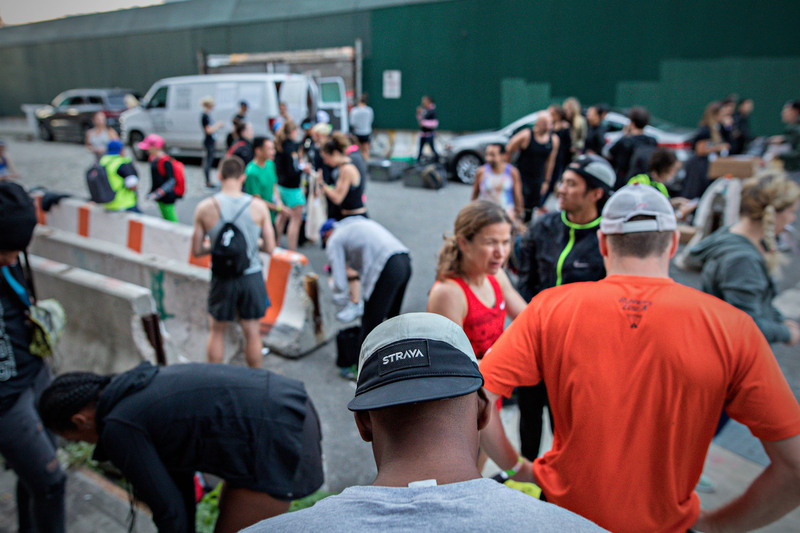 It’s exciting to see a Strava patch on a Ciele hat in Brooklyn at a race like this. It’s so great knowing that a little Canadian brand is making waves in the run scene in America. 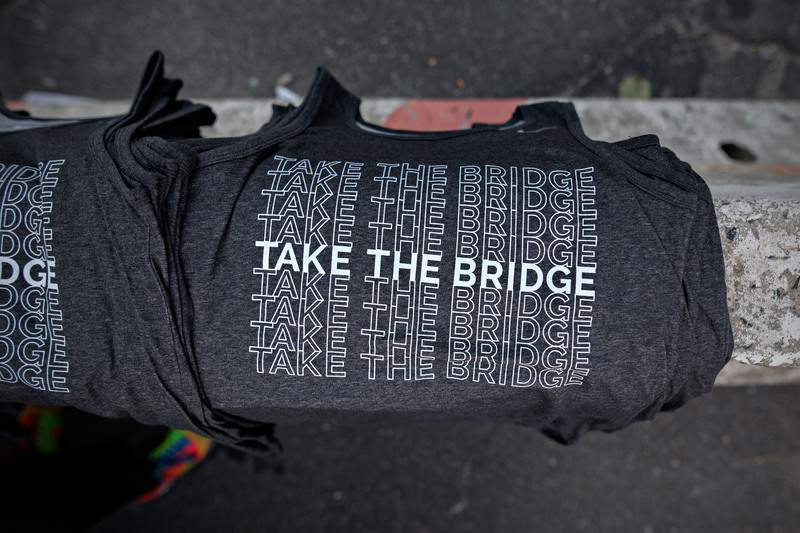 This Take The Bridge event is hosted by November Project Brooklyn, and the crew is getting ready to head off to their cheer station. 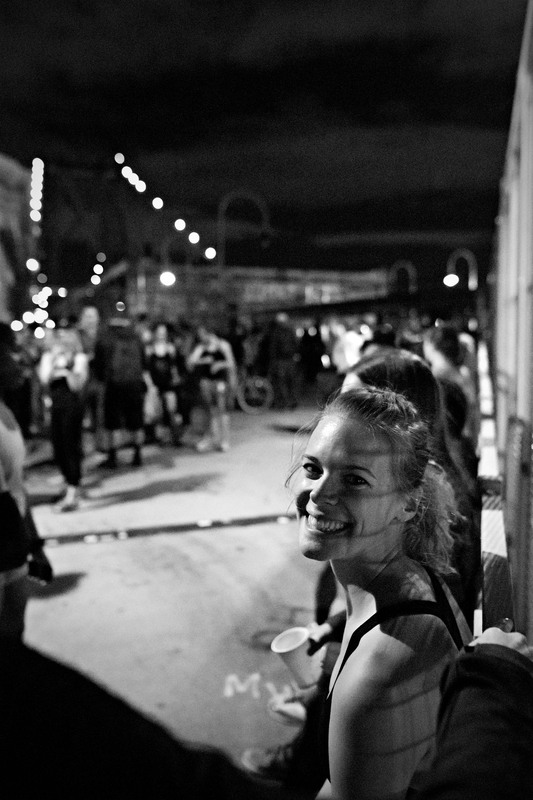 Not unlike the McCarren Park Track Classic I covered six months ago, the energy of the runners makes me wish I was warming up to lay it all out on the Willy B.
Dan prepares for battle…err…cheering as the NP Brooklyn crew heads up S 5th St and then onto the Williamsburg Bridge. As the sunlight fades, the energy rises in preparation for what should be a couple of very exciting and chaotic heats. Details. Gotta get the bib number just right. As we approach the men’s heat, the anticipation builds and nerves start to appear as the guys tie up all loose ends before heading to the starting line just east of Kent Ave.
TTB organizer Darcy Budworth gives the gentlemen one final run through of the rules, regulations, and safety concerns with the Williamsburg Bridge overhead. 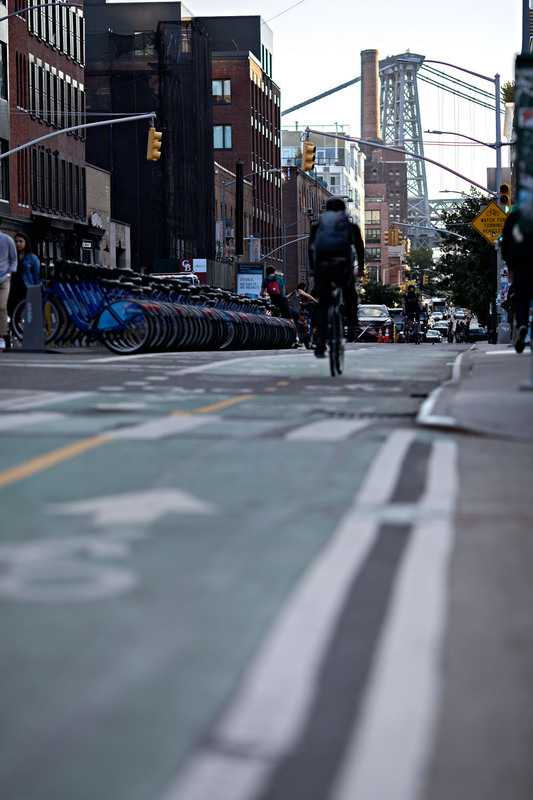 “If a car is coming…stop…it will hit you”. Famous last words. 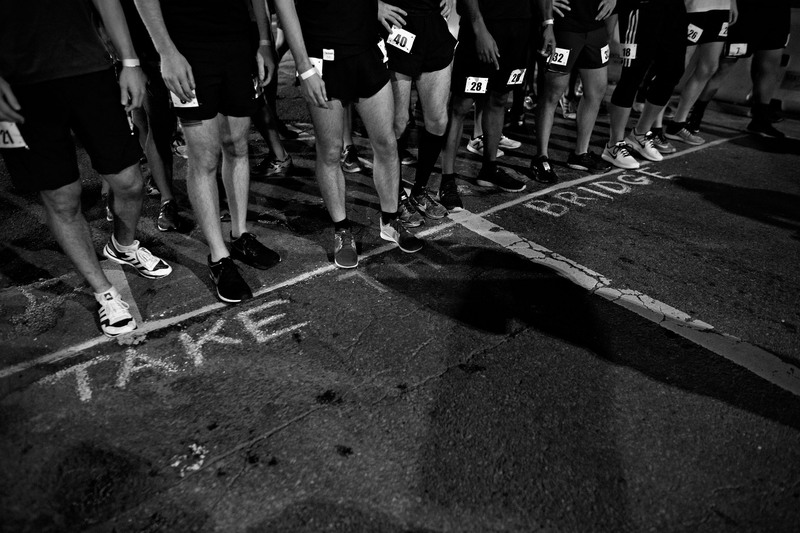 The men toe the line. 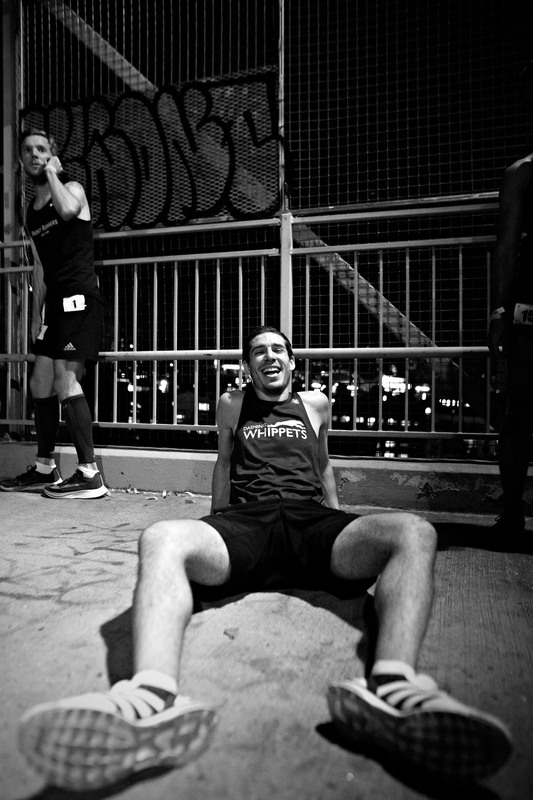 Being an unsanctioned race on the streets of Brooklyn, there is no set start time, so the guys are left standing and waiting until the radio call comes in saying the two streets ahead are blocked off temporarily, and the countdown starts. Off the street now, the guys don’t have to worry about cars anymore…just pedestrians that will have no idea they are smack dab in the middle of a race course. 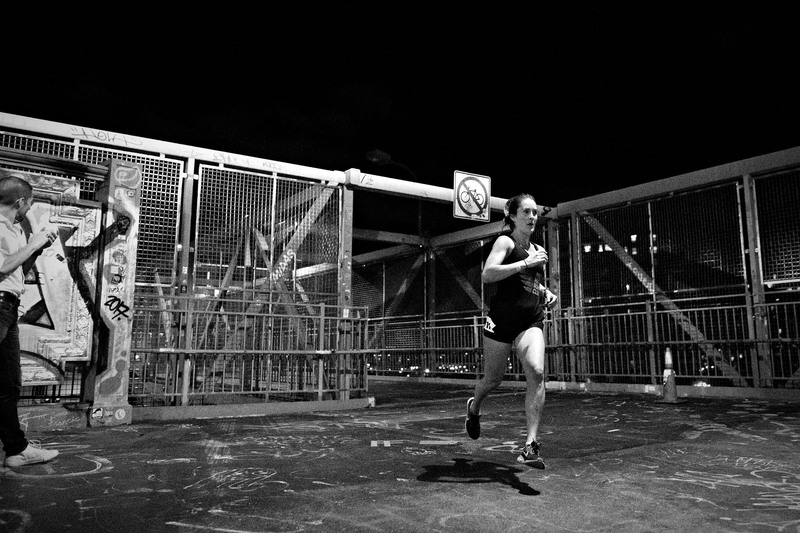 I struggle to get any shots of the fast paced action up on the bridge but manage to catch Steve Green in full stride heading west across the bridge towards Manhattan. 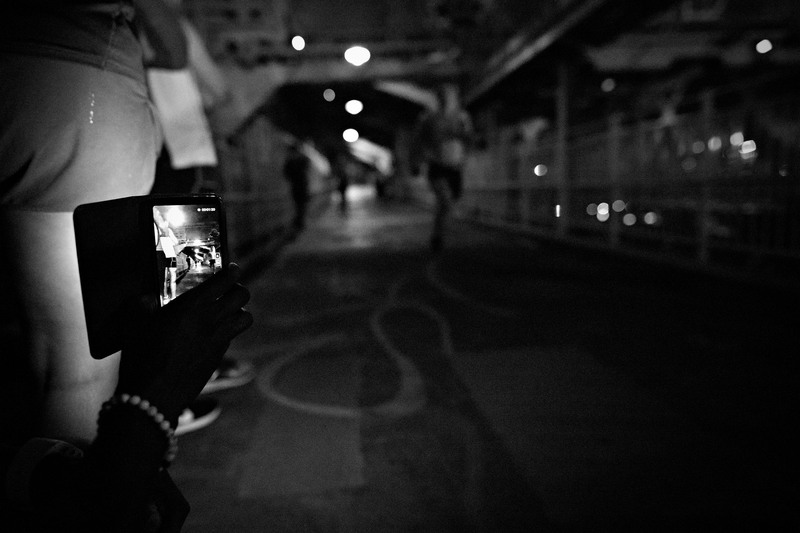 It’s damn near pitch black in spots on the Williamsburg bridge and I find myself dodging rubber necking tourists and locals alike as I bike on the pedestrian side amongst the runners. 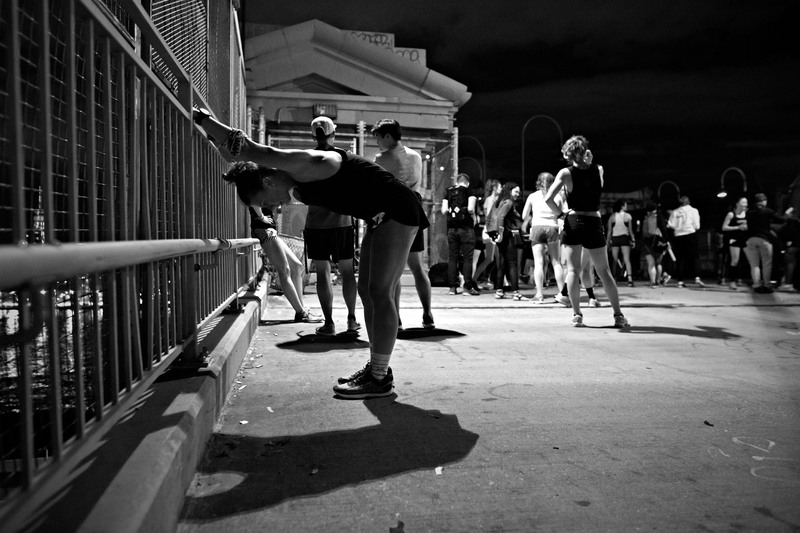 The chaos feeds the energy as most people on the bridge have no idea that they are on a “race course”. Unsanctioned racing at it’s finest. 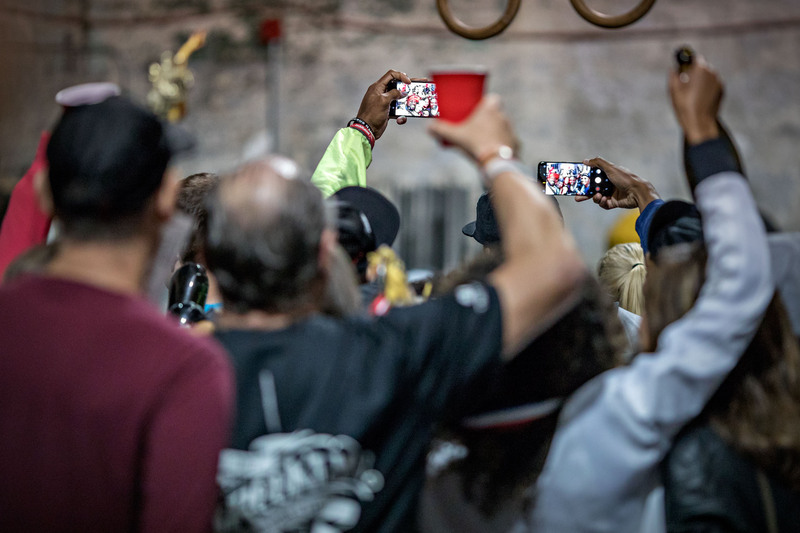 A gauntlet of cheering friends, family, and crew members greet the guys at the finish line…most with phones out trying to capture the excitement. This is what 2.6 miles up to, over, and back across the Willy B will do to you. 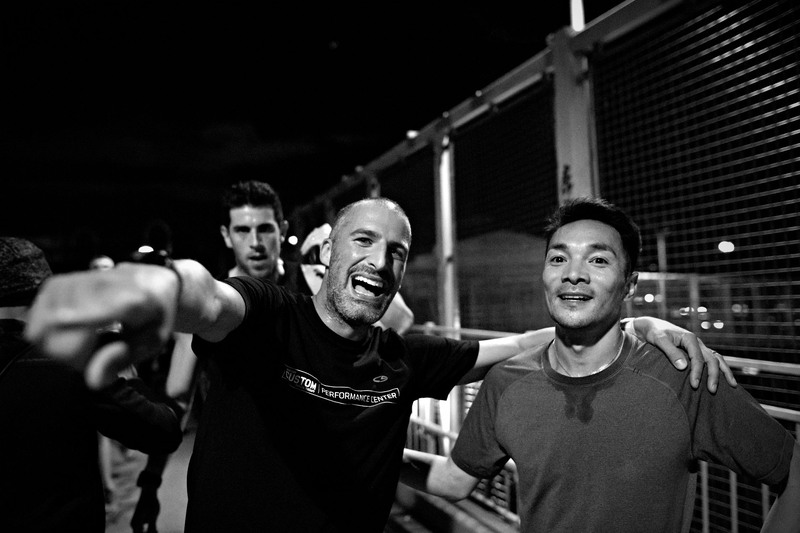 It’s nothing but love and smiles after the race up in the finishing area on the Williamsburg side of the bridge. But bodies are still scattered everywhere. Great run Felix! Instructions? I don’t need no instructions…I’ve got some Instagram stories to check up on. Jeanie has about zero nerves showing right before the ladies heat. Sooooooo…I’m going to blow this horn, and then you are going to run fast. Got it? 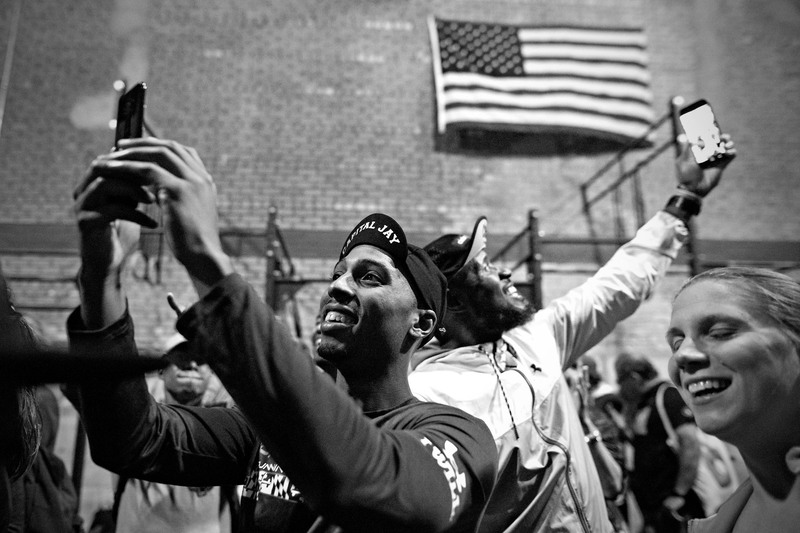 Repping those clubs and crews with a smile on their faces. These ladies are out here for fun, but make no mistake, when the horn goes off, it’s all business. 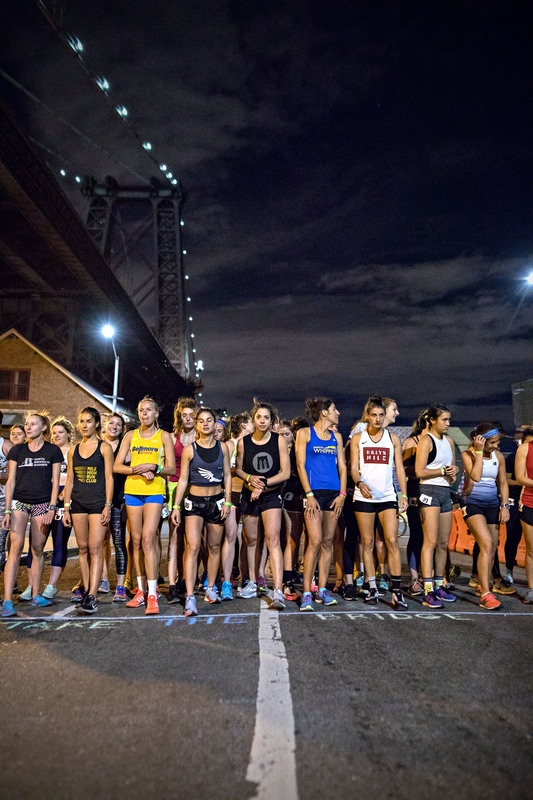 I’ve seen some of these ladies race…hi Victoria (Bellmore Striders on the right)! This woman! I adore, respect, and am inspired by her so much. More than she’ll ever know. From the moment we met, it was obvious we were going to be New York besties, and I was right. 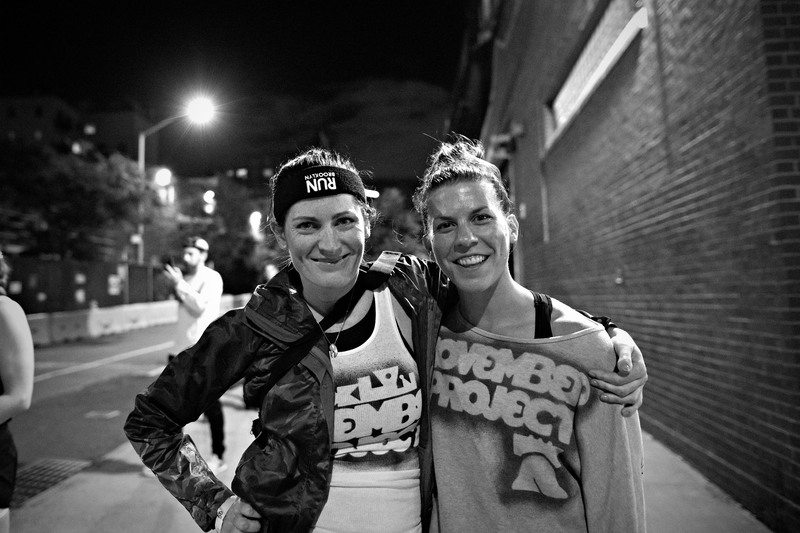 I’m here tonight because of Sierra, and I can’t thank her enough for what she does for me, and everyone looking to add fitness to their lives in Brooklyn as co-leader of November Project Brooklyn. Clearly, she takes life way too seriously. 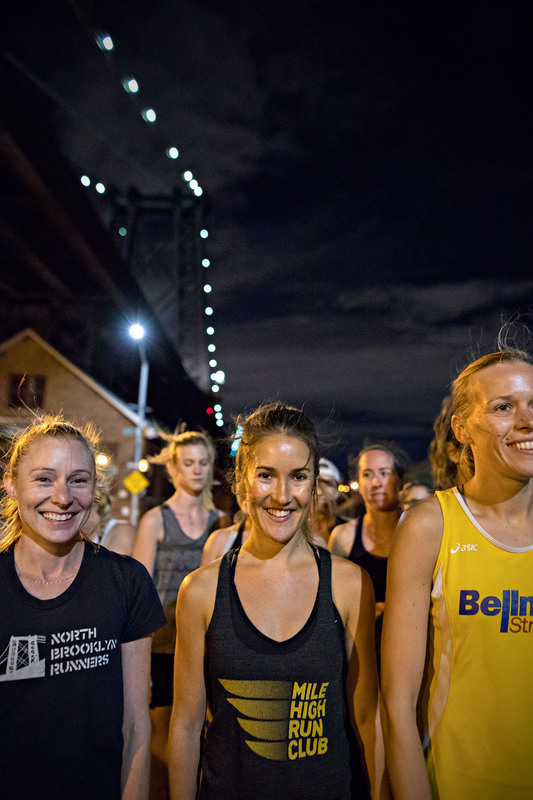 After the climb up onto the Williamsburg Bridge, Victoria Kornieva running for Bellmore Striders leads the ladies and wouldn’t let go. She wins the race by a solid 16 seconds averaging 5:46/mile. 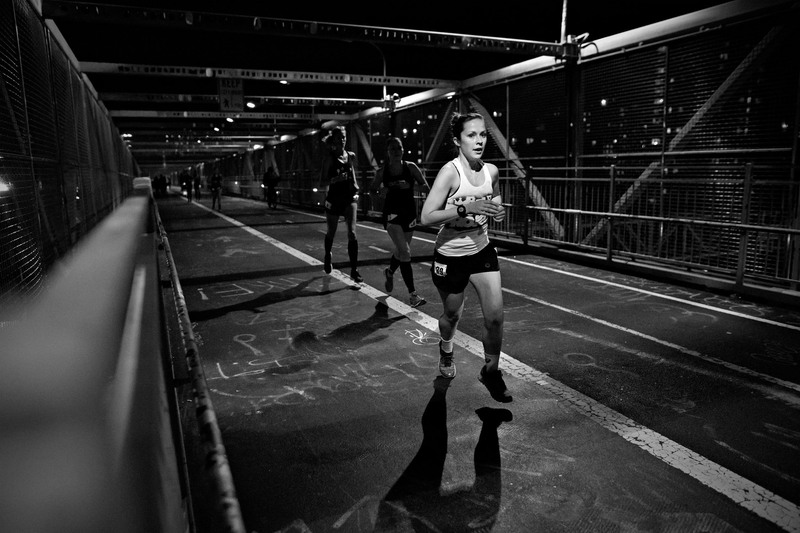 Giuliana Coli from Mile High Run Club ripping her way to Manhattan across the graffiti adorned Willy B. 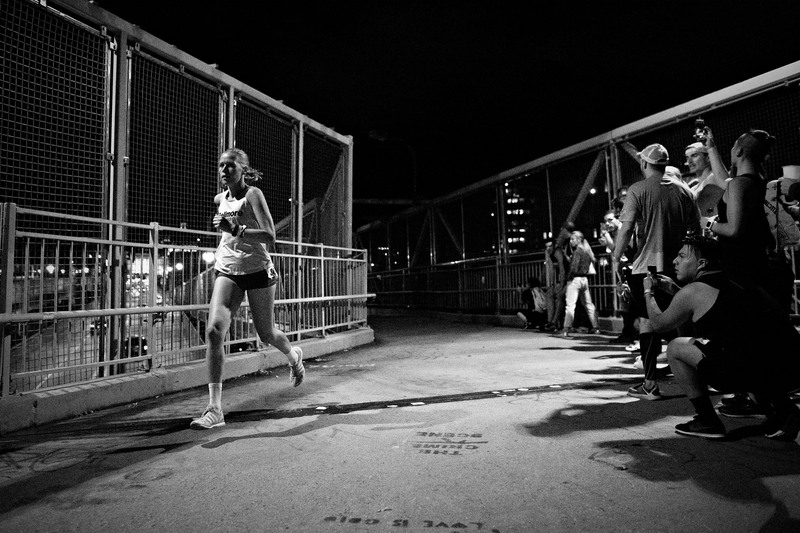 Getting to the Manhattan side is one thing, going back up and over the Williamsburg Bridge is another. 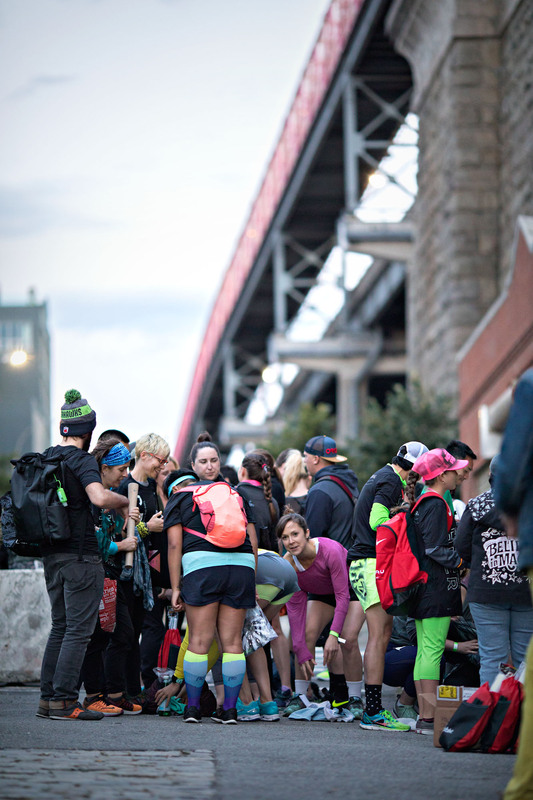 Mary Gibbons repping NP Brooklyn leads a small pack back up to the bridge after turning around at the Manhattan side of the bridge. Not unlike the guys, the ladies laid it down on the Willy B. 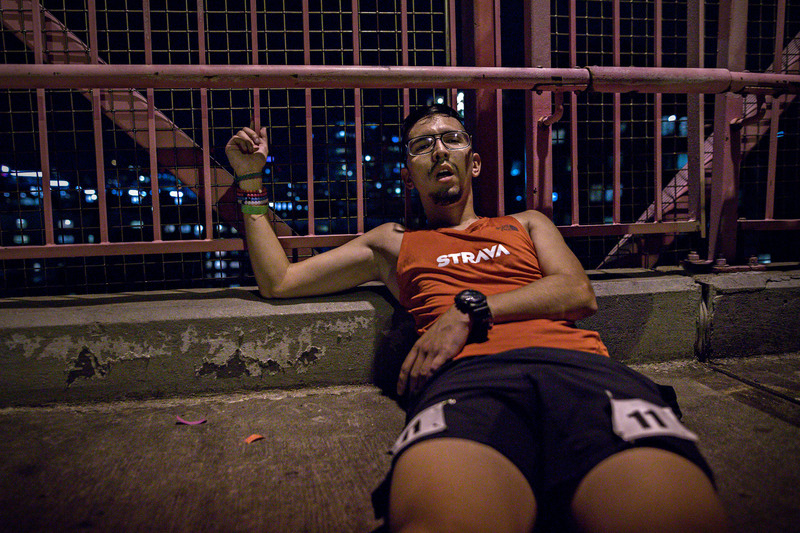 Signs of pure exhaustion are everywhere in the finish area as Sierra uses the rail to stay upright trying to get oxygen in her lungs, and keep dinner in her stomach. 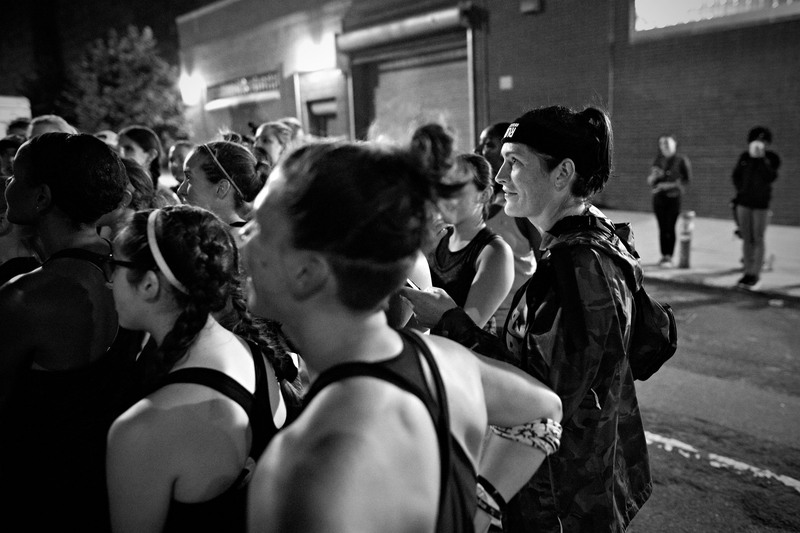 It’s all smiles once the brutal 2.6 mile course is conquered. The Willy B is busy at the best of times on a Friday night, but tonight, it is next level crammed up here. 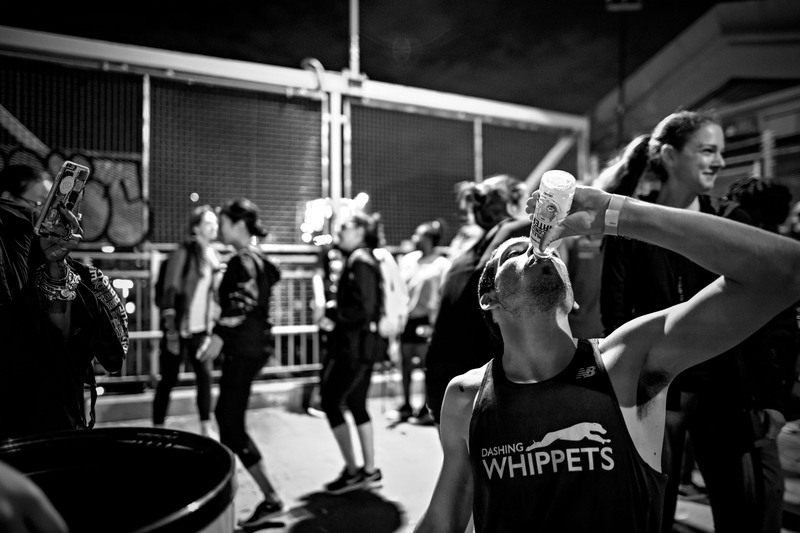 And with that, the race is over…it’s time to party. 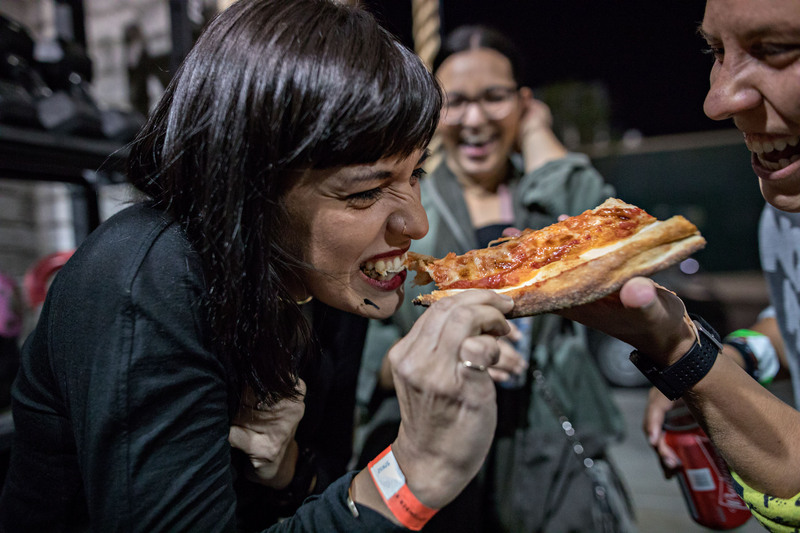 Sorry Drea…I had to. Vicious. 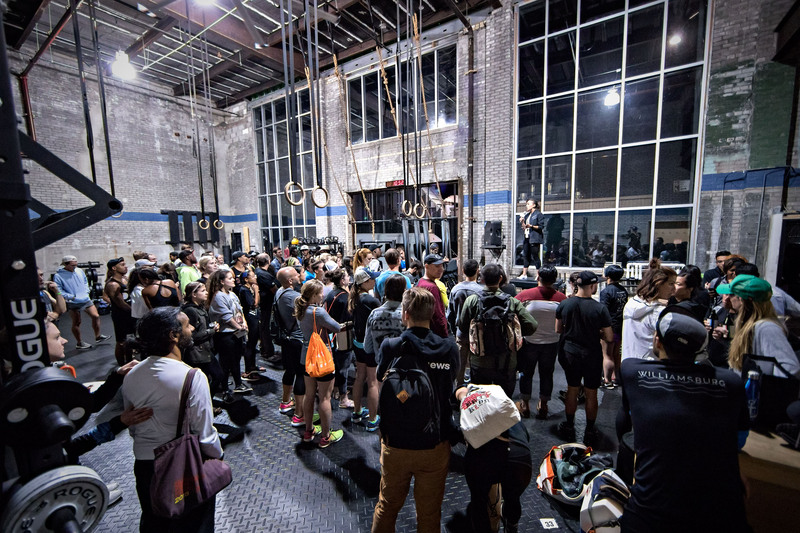 Ain’t no party like a crossfit gym party. Selfie on selfie action. Selfie cannibalism? 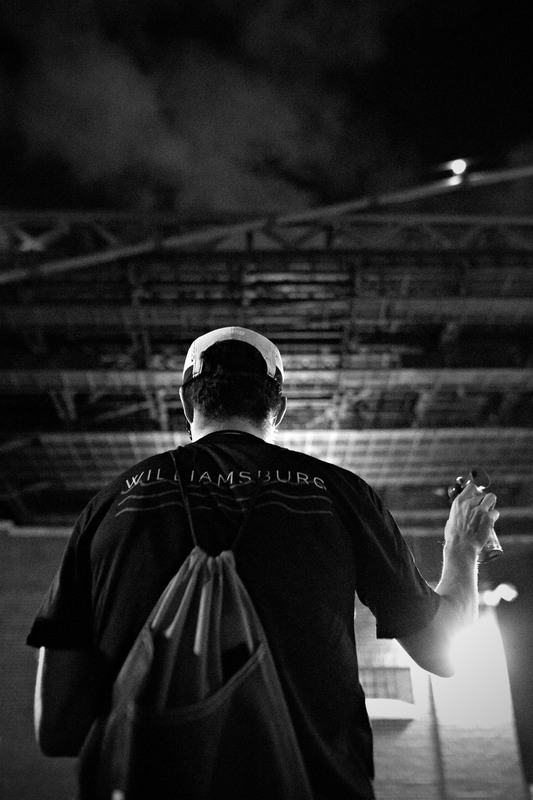 That’s a wrap from TTB 3.4 Williamsburg. Thanks for creeping. One last photo of my two favourites. Thank-you so much for everything ladies. 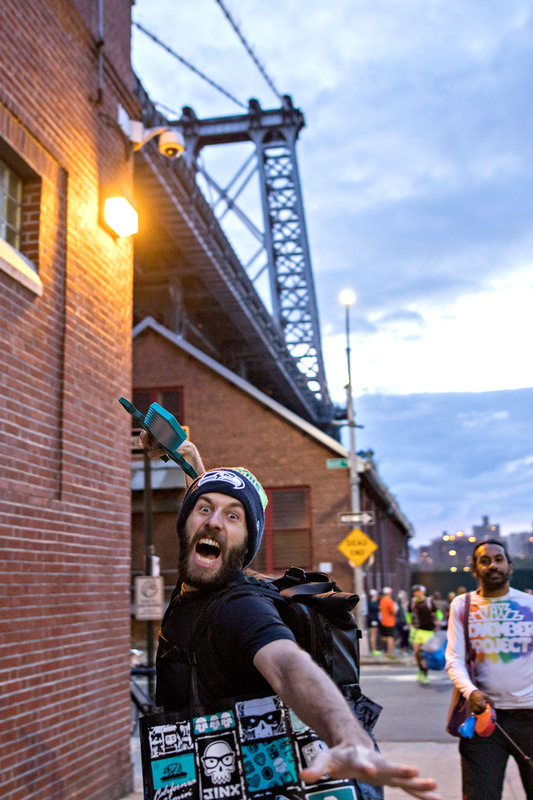 You’ve made Brooklyn feel like a second home, and have been amazing ambassadors for the New York running culture to this kid from a small town in northern Saskatchewan. Mad love, and I’ll see you two soon enough!